Please click on title to fold/unfold news content. Glenngorey Pumps work in the Mid Leinster area covering Dublin to Athlone, Longford to Roscrea, Portlaoise to Ardee, Carlow to Birr. Glenngorey Pumps work alongside County Councils, Engineers, Architects, Electricians, Plumbers, Site Contractors and Individuals. They work in a variety of industries: Concrete Industry, Meat Processing plants, Agri sector, Horticultural sector, Building sector, to mention a few. 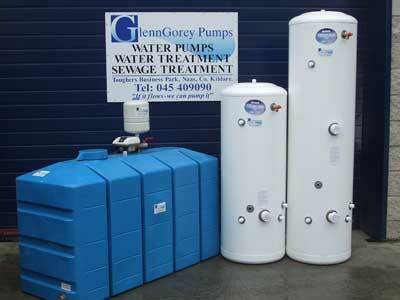 If you have problems with pressure then we have the solution! 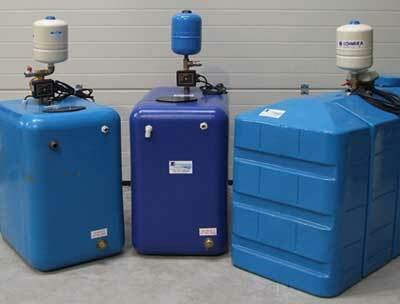 We are delighted to launch our GGP Intank Pressure Boosting System. We now stock a large range of Stainless Steel Pressurised Cylinders available in Single and Double coil. These Stainless steel Pressurised Cylinders work in tandum with our GGP Intank Pressure Boosting Sytem.